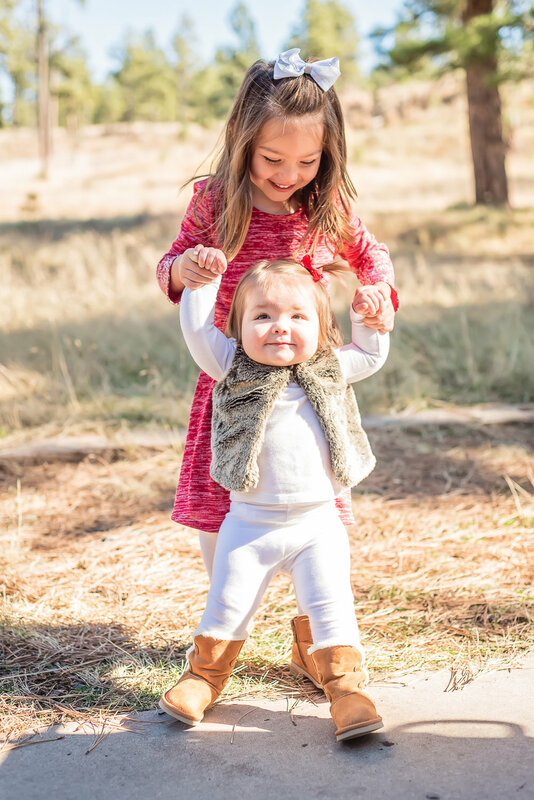 Britany contacted me shortly before Thanksgiving from her home in Houston, Texas to ask if I could meet her and her family in Ruidoso and take their Christmas photos, because they would be in town for the holiday. Of course I said yes! 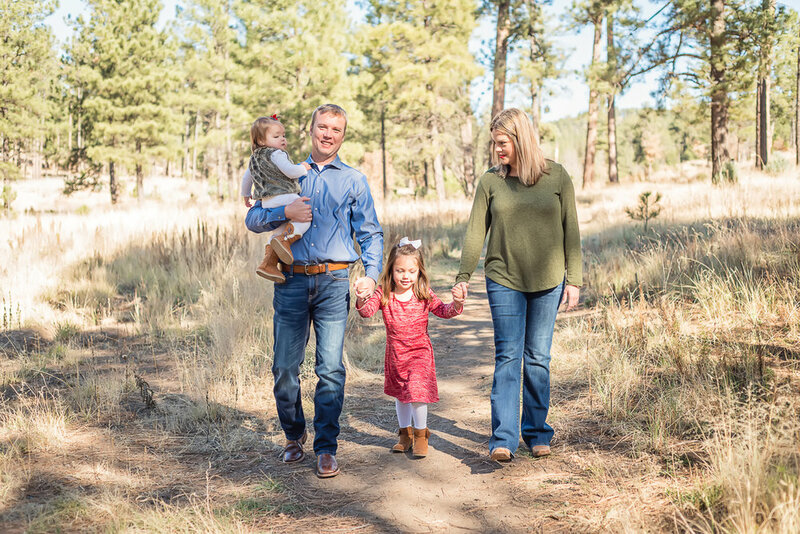 This time around, rather than getting stuck on one of the back roads near the lake, I chose a location that was much, much closer to town, and it worked out beautifully for Britany, Calvin, and their two young girls. We had plenty of beautiful woodsy scenery, and even a small creek to play with. The girls had a blast playing at the picnic tables! I have to add, I love the color pallet that Britany chose for their clothing! The colors were so complimentary, and they stood out beautifully against the early morning sunshine!